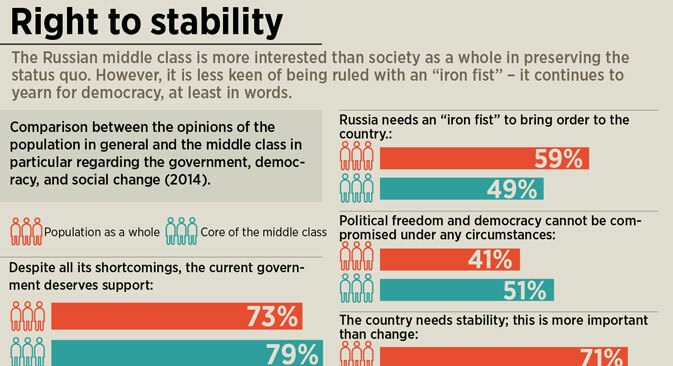 The Russian middle class is more interested than society as a whole in preserving the status quo. However, it is less keen of being ruled with an “iron fist” – it continues to yearn for democracy, at least in words. Middle class here is defined as white collar workers, 70 percent of whom are employed by state companies.